A flock of volleyball-size spherical robots could soon have a very important role on the International Space Station and future space missions: helping astronauts with basic tasks like inspections and data collection. Known as Synchronized Position Hold, Engage, Reorient, Experimental Satellites, or SPHERES, the robots can work autonomously or be controlled by a human operator. And for the first time this week, ISS astronauts and a crew on Earth collaborated on commanding them by running them through a series of exercises. Controlling any kind of machine in space from Earth can be tricky because of the time lag — generally one to three seconds — between when a command is sent and acted on. If a robot is working with delicate machinery or humans, it’s very important that it operates in a safe way or it risks causing damage or injury. 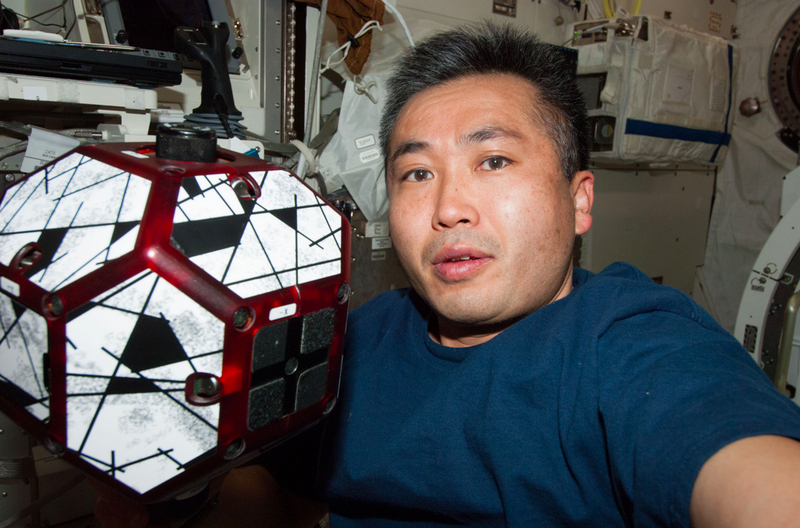 Astronaut Koichi Wakata aboard the ISS with a SPHERE robot. Photo courtesy of NASA. According to Lockheed Martin, which collaborated with NASA astronauts from the ground, the researchers ran the three ISS SPHERES through exercises that called for them to follow a lead robot and dock with another piece of machinery. It was shown that one robot could be operated manually while the rest responded autonomously. The SPHERES’ autonomous maneuvering, which can take it in any direction in microgravity, is made possible by tiny on-board propulsion, power and computer systems. They sense their surroundings via a smartphone, which they also use to take pictures, collect data and send information. Later this year, the satellites’ environmental awareness will go three dimensional when the ISS crew swaps in Google’s Project Tango phones. As control over SPHERES from Earth improves, they could venture farther than the ISS; say, to Mars or an asteroid.